The reason why Divani Athens SPA and Thalasso Center is so unique is the sense of escape that it creates to its visitors, due to its amazing location on the beach of Vouliagmeni. 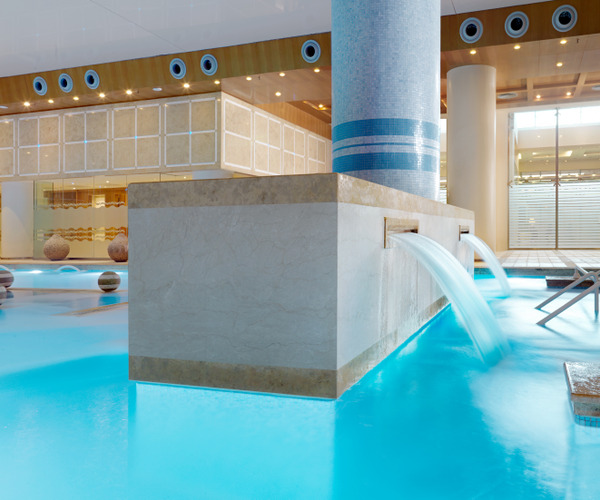 The Divani Athens Spa & Thalasso Centre created by French SPA manufacturers, has a total area of ​​3500 sq.m. and is the only thalassotherapy center in the greater Athens area. It has one of the largest and fully equipped pools that exist in Greece (270 m) with 25 treatment cabins, sauna and steam room for men and women, and a modern gym with the latest type of Technogym equipment. Divani Athens Spa and Thalasso Center offers an impressive variety of treatments that are tailored to your personal needs, ensuring an experience of the highest quality. For this reason we have chosen two of the best in the sector, Ligne St Barth and Thalgo, with products of outstanding quality, ultra professional protocols and exceptional diversity. Divani Apollon Palace & Thalasso offers an impressive variety of services and facilities in a great location and exemplifies luxurious hospitality. The hotel offers 2 outdoor swimming pools, the one with sea water, where one can spoil himself under the mythical Greek sun. Divani Apollon Palace & Thalasso is a proud member of the Leading Hotels of the World and has also been awarded the five star diamond award for its excellence in service. 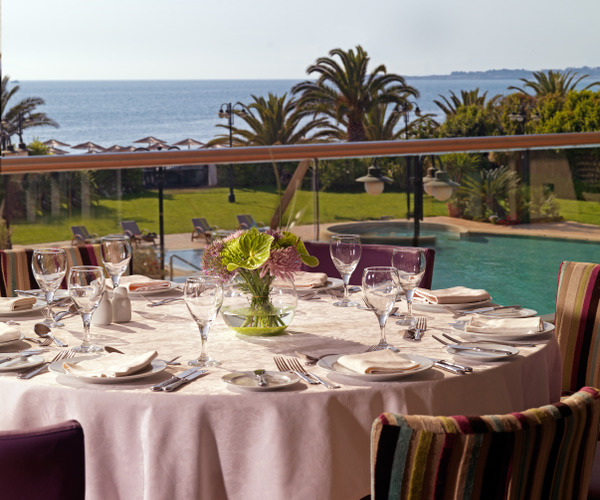 This is a luxury resort hotel situated in the exclusive area of Vouliagmeni, just 18 km from Athens city centre. Guests enjoy beautiful bay views, the pleasure of our private beach and our award winning SPA. Divani Apollon Palace & Thalasso boasts 342 rooms including 83 executive rooms and 34 suites. Whether our guest chooses a superior or an executive room or even one of our suites he will find everything at his fingertips to make his stay effortlessly luxurious. Each one of the hotels rooms offer the chance to our guest to see the sea in all panoramic direction with a front row seat to the Saronic spectacle: exuberant sun rising, romantic sunsets and the never ending of azure blue!